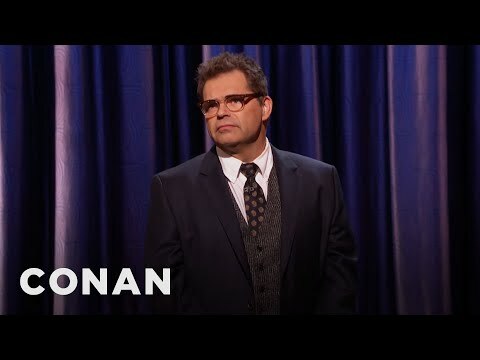 Dana Gould is a legendary comedian considered to be one of the absolute best among his peers. Gould is probably best known for his many years on TV’s longest running animated show The Simpsons, where he served as Co-Executive Producer and performed several voices. Between Comedy Central, HBO and Showtime, Dana Gould has six solo stand-up comedy specials to his credit. He has appeared on Late Show with David Letterman, Jimmy Kimmel Live, CONAN, and Maron. In 2017, Dana released Mr. Funny Man on Kill Rock Stars, his first comedy album since 2015’s I Know Its Wrong, which debuted on iTunes comedy chart at #1. His monthly podcast, The Dana Gould Hour, frequently resides in iTunes' top ten comedy downloads. As an actor, Dana has had memorable turns on Seinfeld, Parks and Recreation and was a cast member of Frank Darabont’s 1940’s crime drama Mob City, as well as numerous roles in films, such as the cult horror anthology Southbound. Dana was a writer and performer on the original The Ben Stiller Show and maintains an equally active career as a writer. After creating the pilot World on a String, he co-created MTV's late, lamented Super Adventure Team. Dana was also a producer on NBC's Parks and Recreation. Dana is the creator and Executive Producer of the IFC horror-comedy Stan Against Evil, which just got renewed for a third season. In addition, he is currently developing a hour-long series based on the comic book series The October Faction with that series’ creator, Steve Niles, as well as well as adapting Rod Serling’s early, original, draft of the Planet of the Apes screenplay as a graphic novel for Boom! Comics. Despite all this, stand-up remains a focal point of Dana’s career, and he continues to perform regularly across the country.